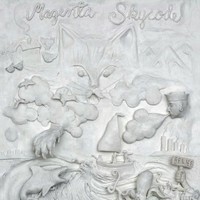 My anticipation for Magenta Skycode’s second album, Relief, had been building for years now. The Finnish group was one of the first featured artists in the history of this site, and in my first “Top Albums of the Year” feature I lauded it as being the best debut from that year, 2006. There were few indie-pop debuts as memorable. Their follow-up, Relief, is more consistent than the merry-go-round of emotions on IIIII. The group appears more focused in this sense, even if it sacrifices some ambition in the process. The flurries of buoyant twinkling keys and acoustic guitars – reminiscent in several ways of both post-punk and indie-rock – are still present, but they are sugary and more accessible than before. Instead of bringing to mind innovative crafters of pop hooks like The Cure or Paul Simon, Relief offers a more by-the-book indie-rock approach that brings to mind acts like The Shins, Delays, or The Brother Kite. All respectable acts, for sure, but their deliveries become increasingly grating due to the linearity and sameness of their work. The songs on Relief tend to be more elementary than the anthemic build-ups on IIIII. Whereas a track like “Red Eyes” would evolve cohesively from a Kraftwerkian series of whirring synths and illuminating pads into contagious post-punk riffs, the tracks on Relief appear content in staying true to the style it begins in. 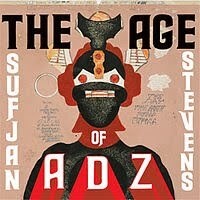 Abandoning his overly-tenacious “50 States Project”, and going through some rather public digression away from the idea of an “album” or “song”, Stevens has put together the monstrous, epic, and grandiose The Age of Adz. Within eleven tracks, Stevens has attempted to combine the culmination of five years of experimentation, self-reflection and personal growth. Instead of full-fledged orchestral rumblings, Stevens has opted to use electronics for The Age of Adz. Anyone expecting a spiritual successor to Illinois might be disappointed. The album begins with a rather minimal string arrangement in “Futile Devices”, like a deep breath before a plunge into the depths of electronic inclinations. The aforementioned “Too Much” follows, and does so with liquid-y electronics swerving to-and-fro to give a feeling of melancholy whimsy. Stevens has traded in his backing band for synthesizers. One of the best examples of this approach is “Vesuvius”, which comes on strong with an underlying frailty. Keeping the synths reserved to a minimum, Stevens has crafted an excellent melody that sounds collective in production and in execution. For the first time on the entire album, this song sounds like it would work well on a grander, orchestral scale fitting of live treatment. This Is Happening is more continuation from James Murphy, who a few years ago was essentially “the man” in indie-dance. He could make disco sound like the coolest thing out there if he wanted, mainly because his production chops in blending dance-friendly genres are incomparable. Those skills are essential to his success, but it is also his reluctance to conform himself to dance norms. It would be incredibly easy for Murphy to dish out three-to-four minute electro-jams with the fist-pumping choruses he has touted before. He is instead content with developmental songwriting that rewards patient listeners. Sure, single “Drunk Girls” has radio appeal with its semi-humorous topical repetition and straightforward beat, but the intentions are apparent. “Drunk girls are like a night of simplicity” generally sums up this effort – it is fun but clearly designated as a breather on an album with lengthier and more embodied songs. That is a fun one, but others on This Is Happening concoct late-night urban atmospheres and dance revivalism with wonderfully expansive vigor. “I Can Change” is a great showing of Murphy’s chops as a songwriter. A snare drum plays like water splashing as a synth-bass tremolo resonates in the background, complete with a repeating lead synth reminiscent of new-wavers like Devo. This is also Murphy at his most romantic, pleading for constancy in a romance. Of course, witty interruptions to a serene yet boring relationships are imminent; Murphy’s charm is prevalent with lines like “love is a murderer, but if she calls you tonight everything is all right” or “love is a curse shoved in a hearse, love is an open book to a verse of your bad poetry — and this is coming from me.” As he says “I can change if it helps you fall in love”, the infectiously upright beats start to develop a more melancholic quality complemented nicely by an airy synth pad in the background toward the conclusion. Expectations are understandably high when you release material as good as LCD Soundsystem’s self-titled debut or Sound of Silver, and with This Is Happening it shows that Murphy is not going anywhere anytime soon. 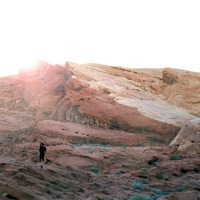 Another standout, “Home”, plays with the form of developmental dance LCD Soundsystem fans are familiar with. There is a quick synth arpeggio in constant rotation, but the real selling point comes in how Murphy’s vocals tangle with the quick swipes of balmy keys, which bring out some Caribbean pop influences (at least in the way Vampire Weekend pursue it). That comparison is a moot point though, as Murphy plays it with cool swagger in opposition to most indie-rockers of that sort. 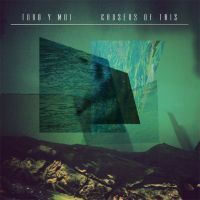 The track rarely gravitates from its initial melody but retains infectious tendencies through subtle melodic and rhythmic additions, which only Murphy’s vocals take attentive heed to. Murphy makes dance music without the grating stereotypes that make the genre a punch-line. 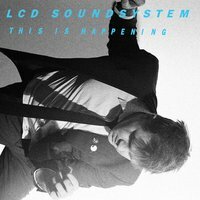 This Is Happening is yet another success from the ever-popular LCD Soundsystem and it is easy to hear why. Jay Watson and Nick “Paisley Adams” Allbrook are not unfamiliar with success. They are used to it as members of Tame Impala, the group from Western Australia that released one of 2010’s best psychedelic-rock releases in Innerspeaker. It was a beast of an album that has drawn acclaim for a genre too familiar with recent criticism. 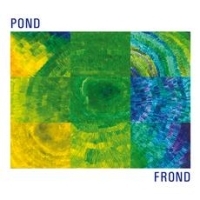 Their own project, Pond, inspires acclaim for similar reasons. Their fourth studio album, Frond, was released earlier this month and is clearly their best. Chalk it up to experience perhaps, but regardless this is an album that is not a far cry from Innerspeaker, both in terms of quality and style. Pond treads in areas of garage-rock more than Tame Impala by using a sharper tone of distortion and less reverb, while sharing some electronic components that never override the psych-rock feeling. For example, the trickles of synths during “Mussels Tonight?” is not distracting or superfluous, while the vocoded bridge in the middle is simply preparation for a dizzying guitar progression that recalls the best of the genre. Under the gauzy layers of guitar in “Cloud City” there lies a bit of funk, which in addition to the garage-rock in the self-titled cut and extensive prog-rock in “Duck and Clover” provides for Frond’s fresh perspective on psychedelia. There is not one effort on Frond that lingers away from psychedelia, but the flourishes of various stylistic attemps within concise bridges or outros is always delightful. The last four minutes of “Frond”, for instance, is a beautiful arrangement of orchestral elements and guitars that evolves with superb organization from the track’s initial pop-heavy leanings, which is led by a sprightly piano and choir-like procession. The album has so many surprises, twists, and hooks that one may question its stylistic consistency, even if it is clear. It just contains so much excitement and variation, two components lacking in much of today’s psychedelic-rock. Chaz Bundick’s collection of bedroom recordings sound nothing like the sort. His efforts take gorgeous samples and implement them under alternating rhythmic patterns, some conventional and others far from it. 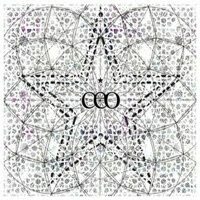 There is always an ethereal quality to his work, mainly defined by sparkling production that could give birth to some sub-genre with “underwater” in the name. Bundick’s vocals are crisp and prevalent in efforts like the gorgeous “Minors”, with the backing samples retaining a sort of glossiness inherent in ’60s soul recordings. It almost brings to mind recordings like Avalanches’ “Electricity”, where elegant pads cross with hasty synth leads and choral vocal samples to create a sound full of anxiousness and beauty. Bundick’s vocals are very interesting for the genre; he projects an angsty sort of youthful snarl, unlike peers Washed Out or Neon Indian with their soft-spoken demeanor. Toro y Moi craft different, more majestic sounding music than either. This is not quite post-punk revivalism or sample-soul. Both retain some influence, but this is generally more akin to sample-driven beauties in the vein of Avalanches, Panda Bear, and other sample-proficient songwriters with structurally unpredictable yet atmospherically coherent songs. “Lissom” is a good example of the occasionally hectic nature of Bundick’s songwriting. The melody is very carressing and relaxed, but the production finds different forms of phasing and panning manipulating various percussive sounds. It almost sounds like a bad dream taking place underwater, with your head bobbing between the surface and providing your ears a different perception every second or so. It would easy to call the song overly erratic if not for the clear planning, which is essentially a wonderful lead-in to R&B-influenced “Fax Shadow”. This has the same sort of underwater phasing present, although it is used more on harp-like effects. Vocal samples are chopped to create several layers which interact infectiously with one another. These are muddled to a certain extent, and when Bundick’s crisp vocals occasionally emerge over the copy-and-paste vocal additions it is always a treat. Although the actual music content is somewhat hidden under a vocal-heavy track the vividly subdued atmosphere remains. Causers of This is quite an achievement from Bundick, who is able to produce everything from dance-friendly efforts like “Thanks Vision” to melancholic late-night ballads in the vein of “Talamak”. When people ask why Sweden is so revered in the indie-pop world, it has become a trend to place The Tough Alliance alongside names like Jens Lekman, Acid House Kings, and The Radio Dept as examples. Their style of electro-pop contains somewhat of a boisterous nature to it contrary to most Swedish pop bands (even apart from TTA’s baseball bat-wielding on-stage persona). The duo’s chirpy collection of synths and heavy percussion finds more similarities in indie garage-rock than Euro-rave though, mainly thanks to their sensational capacity for differing hooks and differing progressions. Their songs almost always begin with a simplified loop, only to grow into an effort with a mandatory big-time chorus that would make even a docile Swede shake their feet with defiance. Henning Fürst and Eric Berglund’s U.S. debut, A New Chance, was one of those albums with no true classification. It had the feel of late ’80s/early ’90s dub-electronica, but with the polished refinement of electro-poppers today like Cut Copy and Saint Etienne. A listen to any of the eight songs would elicit immediate enjoyment from anyone with the slightest interest in dance though. White Magic, the debut effort from Berglund, would be easy to mis-diagnose as a tamer Tough Alliance due to some efforts. “No Mercy” plays with acoustic guitars and sound effects (like the sound of a sword being drawn out of its scabbard) and eventually comprises with a chorally pastoral synth accompaniment, making for a straightforward effort as far as The Tough Alliance go. There are no bursting synth solos or extraneous yelping, but the solid songwriting is there along with plenty of hooks. Calling it a more tropical-sounding release would be accurate in this sense, as cohesiveness and island living is more at the forefront than the youthful revolt and “neo-violence” of The Tough Alliance. “Love and Do What You Will” is a fluttery piece of Caribbean pop that rides breezily on a booming bass and twinkling synths. Berglund carries over his signature clamor to tracks like this, which in this case appear as simplified versions of sample-heavy TTA tracks like “Miami”. There is certainly less sophistication and atmosphere on White Magic than A New Chance, and some efforts like “No Mercy” sound more like demos as a result. But in terms of overall enjoyment and infectiousness, White Magic has the same issue that New Chance had: it is too damn short. It is a tease considering the amount of great ideas presented in such a short period of time. A good issue to have, at least. Neil Hannon’s talent is not to be doubted, as few artists are able to establish such a prominent solo career without prior recognition through another project. The Divine Comedy, Hannon’s only project, has produced ten albums in twenty years, not one of them faltering or even suggesting a sign of his abilities fading. 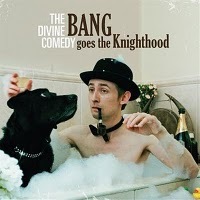 The Divine Comedy’s tenth album, Bang Goes the Knighthood, offers no surprises for longtime fans. As usual, Hannon’s wit and playful observations are suited over a catchy variety of orchestral accompaniment, acoustic-laden folk, and other elements in a pleasant medium between folk and pop. Apart from the operatic distinction between the tears of children and men in “When a Man Cries”, the album is a generally lighthearted affair fueled by easily accessible pop songs with the twinkling choruses and orchestral flourishes one has come to expect from Hannon. While “I Like”, “Island Life”, and “The Lost Art of Conversation” are examples of Hannon focusing on musical content over lyrics (and often finds him just name-dropping people, items, or actions), the cheesiness of these efforts come across more gracefully when sentimentality is more prevalent, as is the case with “Have You Ever Been in Love?” Like “I Like”, the lyrics are list-dependent as Hannon lists the symptoms of love – like figuring out the meaning of life by looking in someone’s eyes, or floating freely into the sky as if the laws of physics don’t apply. That sort of stuff, with the catchy rhyming schemes and elegantly appropriate ballroom music, works better because it does not feel over-the-top. Tamaryn certainly brings to mind dream-pop pioneers like Mazzy Star, but their infusion of the genre into a tactful interpretation of slowed-down rock is what makes them unique. They are part of a new breed of dream-pop, one that takes the original ’60s psych influences and adds doses of ’80s post-punk, ’90s alt-rock, and ’00s indie-rock to produce quite a remarkable sound. Beach House and Grizzly bear are a few devotees. This California-based group may occasionally show their inexperience (the blissful melodies are occasionally over-distorted or cluttered, or there is an over-reliance on tone over melody), but there are so many worthwhile attempts here that puts The Waves up alongside any dream-pop release of this year. Appearing on Mexican Summer – the same label as Ariel Pink, Best Coast, and Washed Out – Tamaryn fits in perfectly with the meshing of dream-pop, post-punk, and blurred-out avant-garde that has brought the label great recognition. Get lost in the brooding drag that is “Choirs of Winter”, or become immersed in a self-titled cut that transitions between squeaky clean post-punk riffs and boisterous eruptions of noise, reaching a point of immersible bliss that is saved only for a special type of artist. Recent notables – like the post-punk of Twin Shadow, Tamaryn’s shoegaze, and Beach House’s mixture of both – find success among young and older listeners alike because their music offers some classic familiarities while staying faithful to the “indie-rock” tag that permits contemporary production techniques. An all-girl rock group from LA by the name of Warpaint looks to be joining that venerable list with their outstanding new album, The Fool. The ethereal guitar tone fuzzy bass in the gripping “Undertow” resembles the spacey guitar work of artists like The Smashing Pumpkins or The Cure, particularly on respective albums like Siamese Dream or The Head on the Door. The increase in hi-hats around the 02:30 mark signals a snazzy twist, with the lethargic pacing of moody guitars transitioning to a quicker flurry of angular guitar chords. “Runnin’, runnin’, runnin’,” Emily Kokal repeats, “from the troubles.” The howl that complements the plea here is pretty spine-tingling, as is the percussively involved conclusion. Tracks like this and the fluttering arpeggio-led “Warpaint” remind me distinctively of Deerhunter, who produce an unrivaled blend of indie-rock and post-punk that does not confine itself to the stereotypes of either. Robyn is one of few artists that are actually a worldwide sensation. It is not because she can dance well or dress stylishly either, even if both are true. She blends popular western R&B with electro-friendly genres more popular in Europe, crafting an absurdly addictive and wide-reaching pair of releases that serve as one of the few quality pop releases of 2010. 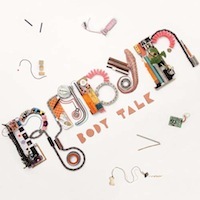 Like Ceo’s earlier listed White Magic, both of Robyn’s Body Talk releases contain just eight songs but do not waste one moment. “Dancing on My Own” is a plea for attention essentially, both lyrically and figuratively in the way it sees Robyn transcend traditional mainstream-pop boundaries. “Stilettos and broken bottles, I’m spinning around in circles, I’m in the cold now watching you kiss her,” she describes. “I’m right over here, why can’t you see me?” There is no forced intent here, and the complementary trickle of synths at the end of the verse around 02:30 makes the quality songwriting that much more apparent. If that does not do it, the twinkling synth interlude fifteen seconds later should. She re-asserts sentiments of loneliness during a total pause in instrumentation, which waits for the “dancing on my own” section to arise with electro-charged organ-synths. Those tired of traditional and repeating structures should find solace in Robyn’s songwriting, as she actually makes use of lyrical anguish to turn a sanguine synth lead into a structurally involved thematic epic with believable bursts of melancholy. The accompaniments of synth are stellar as she falls deeper into agony, even if the conclusion suggests that recuperation is near with its incandescent array of ’80s synths and gurgling bass tremolos. One of the reasons for massive success on both Body Talk releases has to do with the balance between the emotionally-invested and straightforward fun. The former you can see in efforts like “Dancing on My Own” and “Love Kills” – where Stockholm Syndrome and misery are credited as culprits in “love crimes” – and these are surely rewarding any way you look at them. However, even in somewhat mindless fun like “Cry When You Get Older”, there is sentimentality comparable to Erasure’s blissed-out electro romanticism. “She said there just must be more to life than this,” she sings here, counteracting with, “he said, careful ’cause you might just get your wish.” “Everybody in the back singin’!” is a rather predictable bridge to the verse, but familiarity is part of Robyn’s charm. There is nothing to hate on here at all, especially since it sound somewhat similar to her collaboration with Röyksopp — “The Girl and the Robot”, one of 2009’s best songs. If you combine both releases of Body Talk, you will come out with 16 of 2010’s most impressive pop songs. Robyn’s bold and refreshing take on music like this will hopefully influence those working in the genre, as this is one of few releases in recent pop music where the artist has an actual attachment to her work, rather than the producers that drive it. I felt an obligation to like LCD Soundsystem… but I can’t help but still feel like they’re the quintessence of a band that sacrifices hook and production quality for overlong, static-heavy tracks. It’s like they’re trying hard to capture the feel of a band that toured with the Clash… but to me just feels indied out. 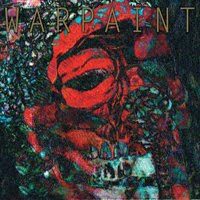 LCD , Toro ,Warpaint -one of my favourite albums too.. I am “ex.fm”ing your whole website. Its is great! Thanks!